Each water treatment system requires proper maintenance. It is necessary to ensure cleanliness in order to maintain good parameters of the filtered water. 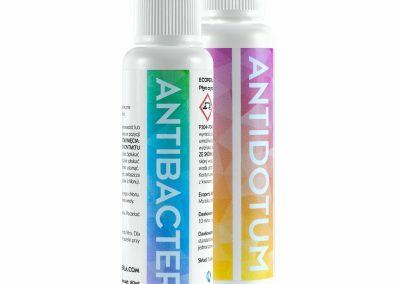 Which product should I use to achieve the best results? 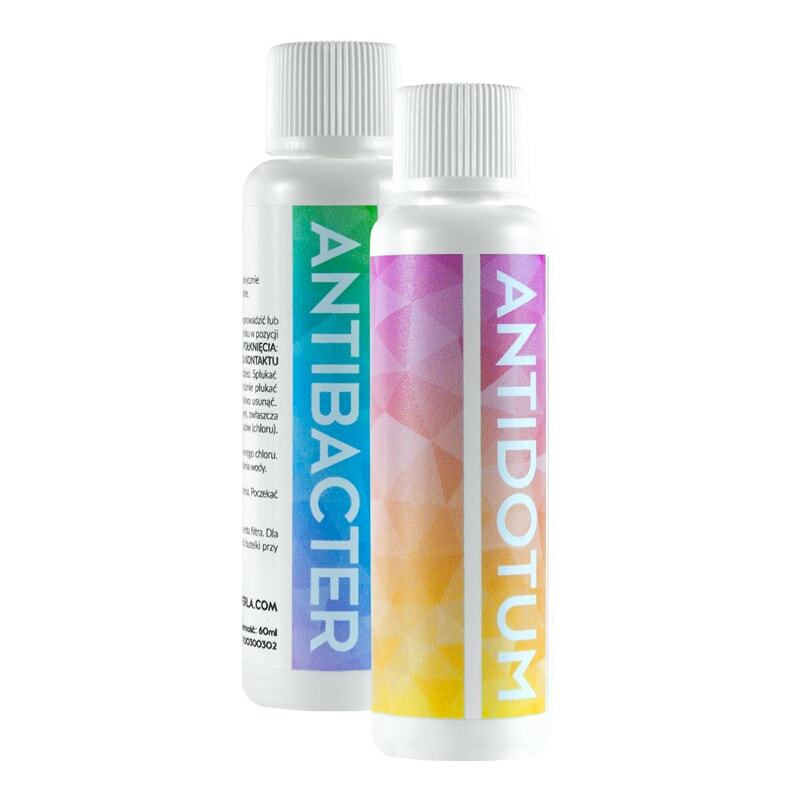 In this case Ecoperla Antibacter will be a good proposition. 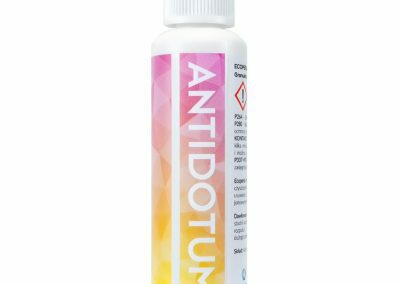 It is an efficient liquid cleaner with a high level of active chlorine. 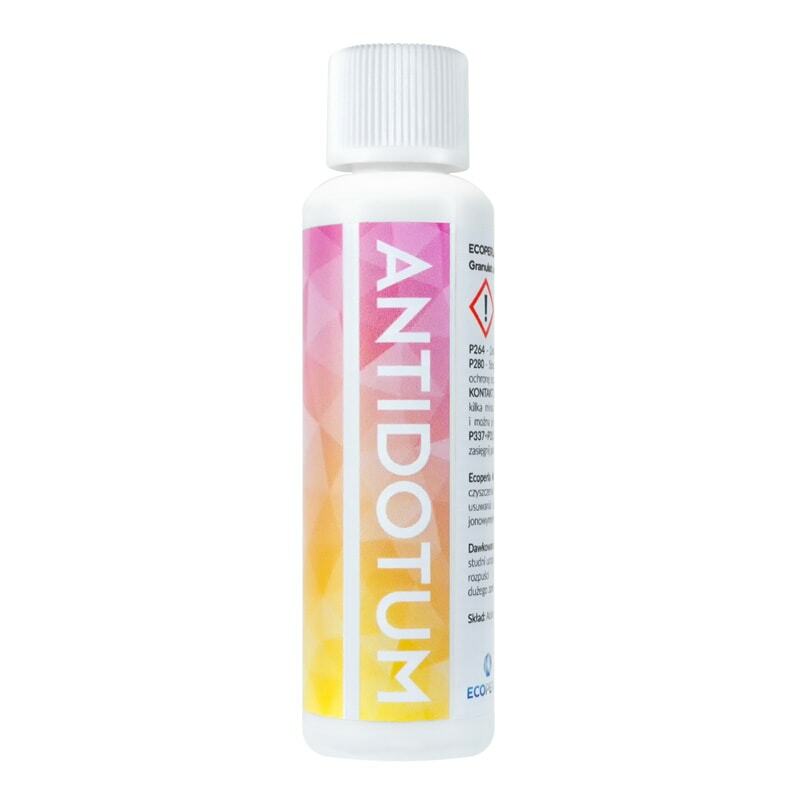 It not only disinfects the devices but also protects them against the bacterial growth. 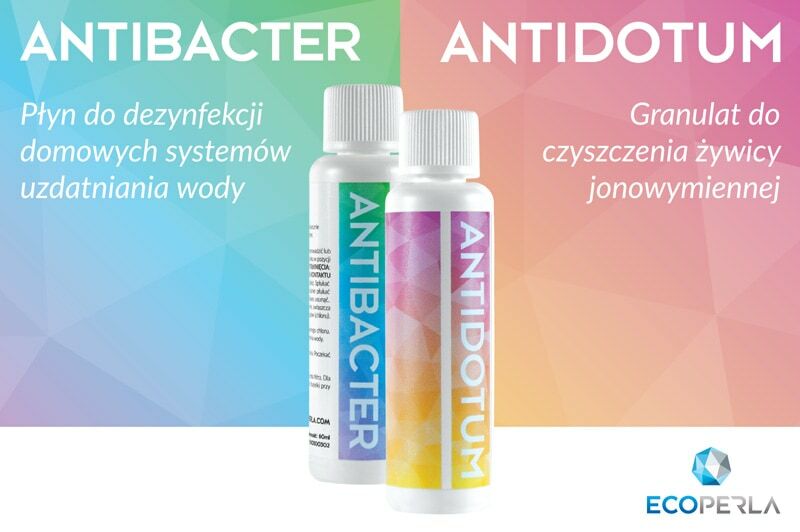 Ecoperla Antibacter is simple and hygienic in use. In addition, it is a very quick and easy way to disinfect every filter device. 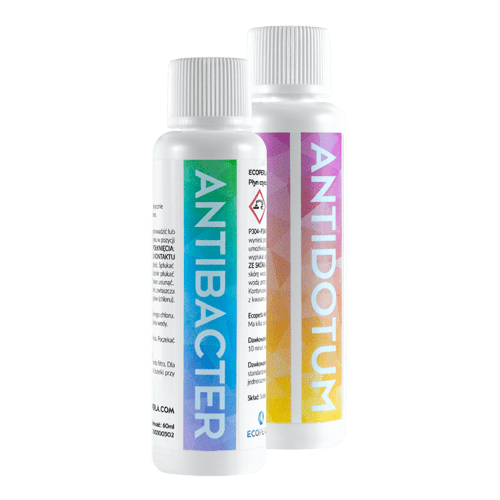 Especially recommended for water softeners in order to maintain constant parameters of softened water and to reverse osmosis systems to prevent the growth of microorganisms. 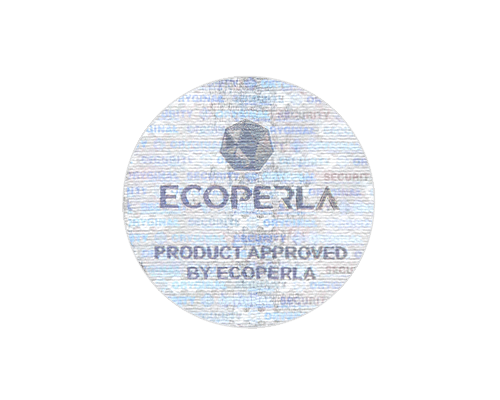 Ecoperla Antibacter is a liquid preparation for single use, which begins to work immediately after use. During regeneration, it is distributed over the filtration bed. 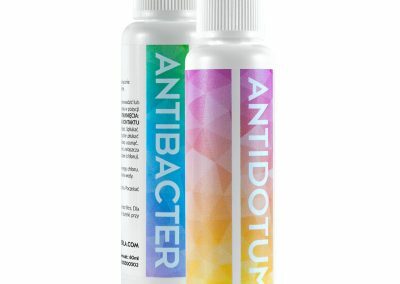 It reaches every part of device and creates a protective barrier against the growth of microorganisms. 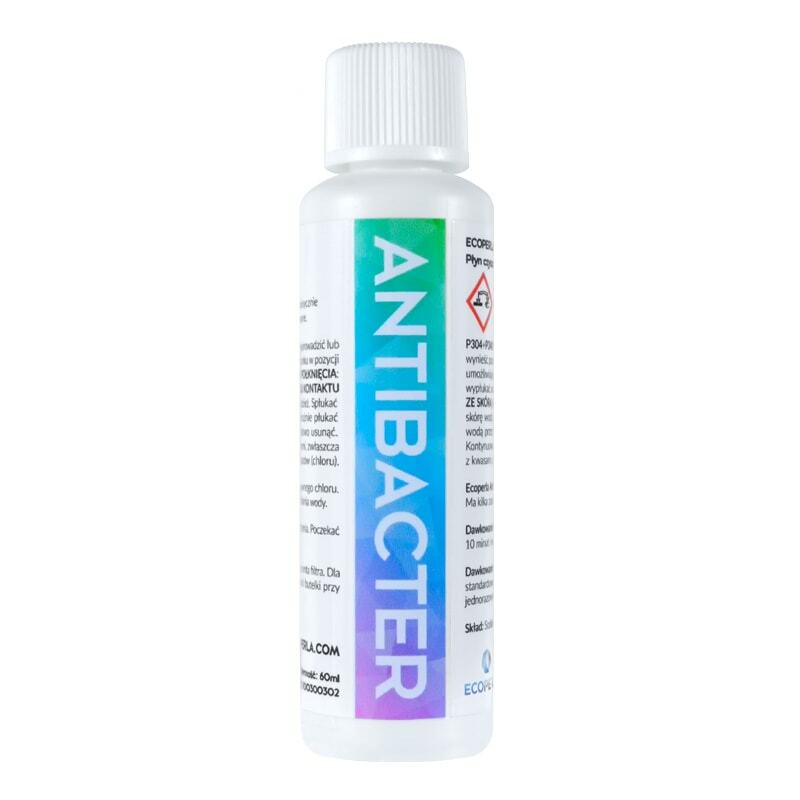 It is recommended to use Ecoperla Antibacter alternating with resin clener Ecoperla Antidotum. Using a set gives the best results in the maintenance of water treatment systems. For water softeners: Open the bottle with the preparation. Remove the upper cover of brine tank in the case of compact water softeners. In the case of two-part softeners, open the flap leading to the salt container. Pour the entire contents of the bottle into the inner chimney of the water softener. Wait about 10 minutes. In the next step, start regeneration. For reverse osmosis: The use of a liquid is recommended during the annual reverse osmosis service, even before replacing the cartridges with new ones. The preparation allows for a thorough disinfection of the reverse osmosis system, including bowls, hoses and faucet. Best idea is to follow the instructions of the manufacturer of the reverse osmosis system. Typically, the product is poured into the first bowl. Then rinse the entire system thoroughly with water. After completing this process, you can drain the water from the device and exchange the cartridges. 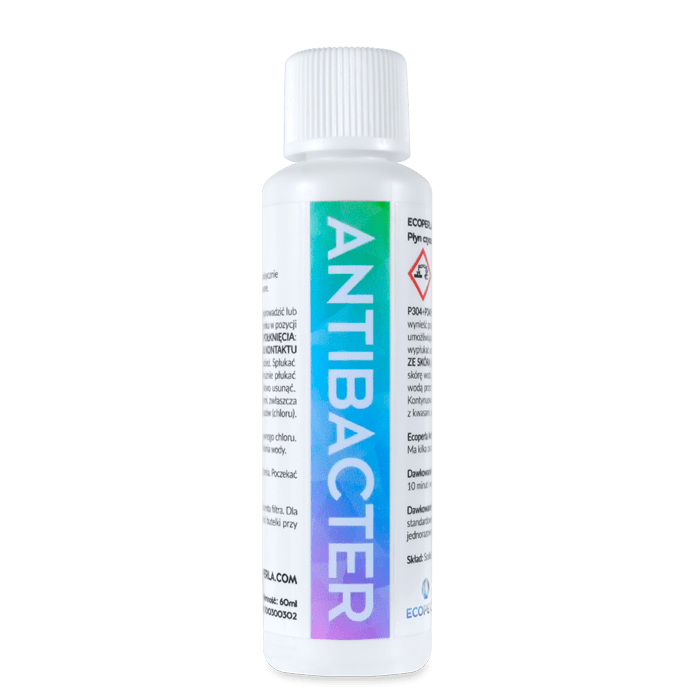 The product description in the nutshell in other words everything that you need to know before purchase disinfectant liquid Ecoperla Antibacter. 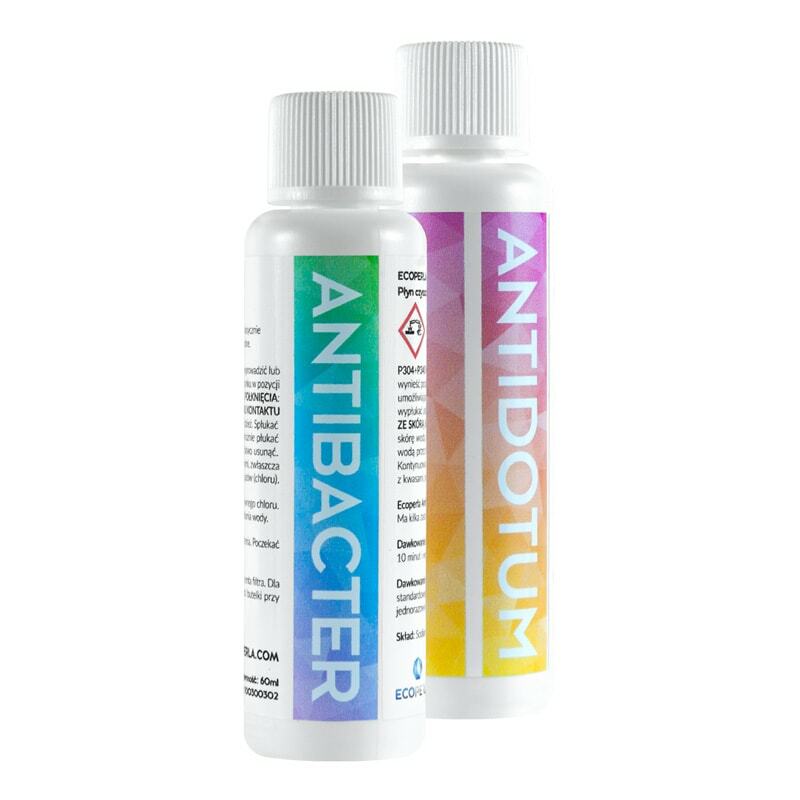 Practical information and technical data about disinfectant liquid Ecoperla Antibacter. 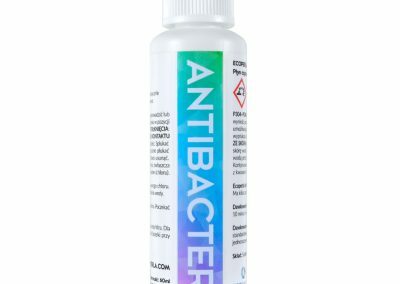 User’s manual for disinfectant liquid Ecoperla Antibacter including all information about the dosing.